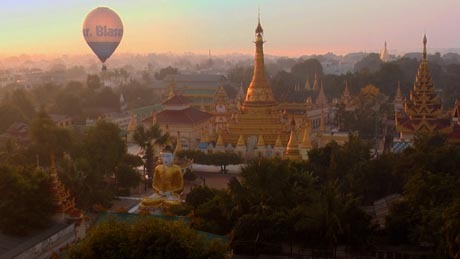 An award-winning 3D ‘aerial adventure’ from hot air balloons that unveils the splendour and beauty of a mysterious land - Burma. 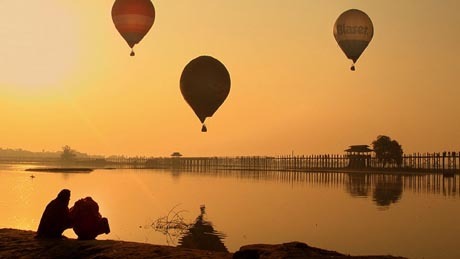 An international balloonist group first visited Myanmar in 1998. Undeterred by critical press reports about the military regime, they wanted to get a bird’s-eye view of the country – to see for themselves what was actually going on. They have been coming every year since, for the last thirteen years, and first encounters have turned into lasting friendships. But what impressions do these fiery hot-air balloons from afar make of the people there? Do they raise hope and awaken their dreams, their yearnings for freedom? And how do the people of Burma live their day-to-day lives? This film has one the first price at the 2011 Korean 3D Film Festival. Read more about the film and the award on our blog.